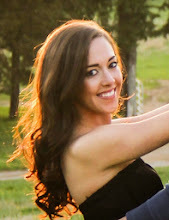 I know I've been quieter on the blog recently, and unfortunately it will probably be that way for a few more weeks. I have to take qualifying exams July 15-26, a nightmare-ish and immensely dreaded hoop that we have to jump through in my grad program. So, I've tried to be responsible and spend my free time studying and reading rather than blogging. Blegh. 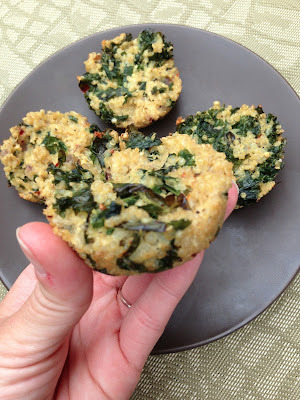 I do have an awesome recipe to share with you today though: spicy quinoa and kale muffins! And hopefully I'll have lots more to share soon. The good news is, quals will be over sooner rather than later and then [if I pass...] I'll become an official doctoral candidate. Woohoo! I've maintained my sanity through all the studying by taking plenty of breaks, continuing to exercise and cook, and making time (albeit less time) for the things I enjoy. I definitely made time to enjoy July 4th -- with sparklers, friends, fireworks, beer, and crabs. Perfect! Now, before I get back to studying, let me share the recipe for these quinoa and kale muffins. They turned out so good! And they're super-duper healthy. A coworker of mine made cheesy ham, broccoli, and quinoa bites a couple of months ago and brought them in to share. They were delicious! Here's that recipe here. I had plans to try making them myself but never got around to it. Then this past week I had a ton of extra kale from the farmer's market that I needed to use. I don't know about you, but sometimes I have a hard time figuring out how I want to prepare kale. 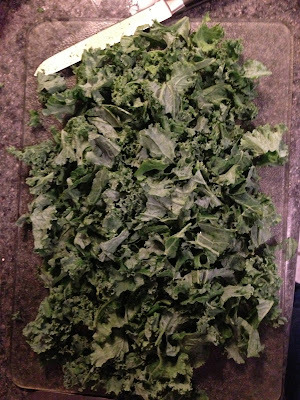 I get sick of sautéed kale, and sometimes I just don't feel like putting in the work to make kale chips. My mind went back to the quinoa bites from work and I had the idea to make a similar product but with kale instead of broccoli. And less cheese. Plus onions for more flavor and red pepper for spice. It totally worked! 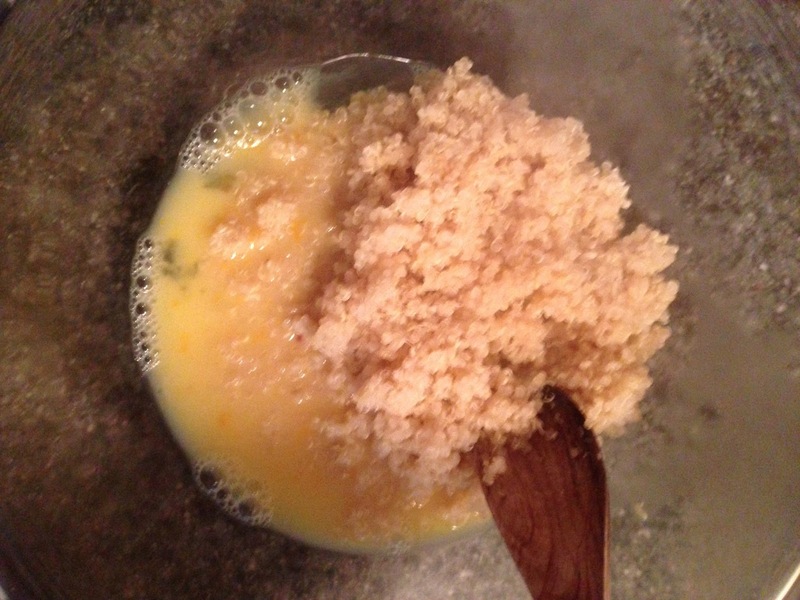 Prepare your quinoa by rinsing 1/2 cup dry quinoa then boiling it in 1 cup of water or chicken broth. 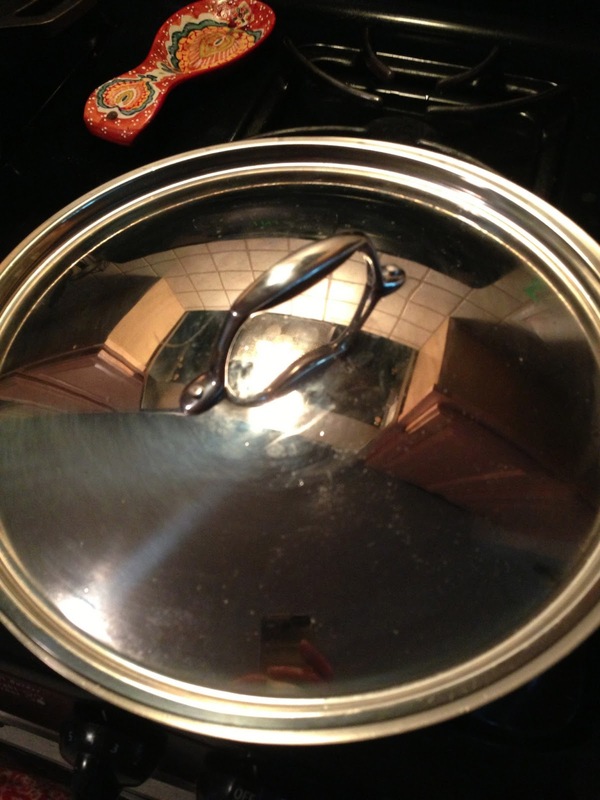 Reduce heat, cover, and simmer for 15-20 minutes. Meanwhile, rinse and dry your kale, then chop it into small pieces, discarding stems. 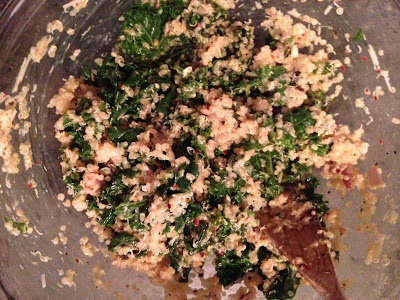 You want about 4 cups (packed) of chopped kale. Also chop up a quarter of a red or white onion. Heat a tbsp of olive oil over medium heat. 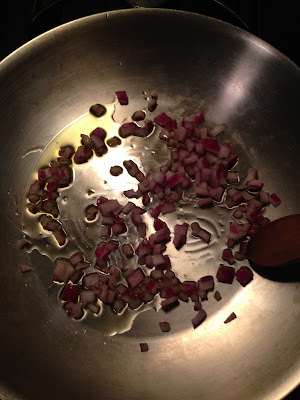 Add your onion and sautee until soft, about 4 minutes. Pour cooked onion into a large bowl. Heat another tbsp of olive oil, turning the heat to medium high. 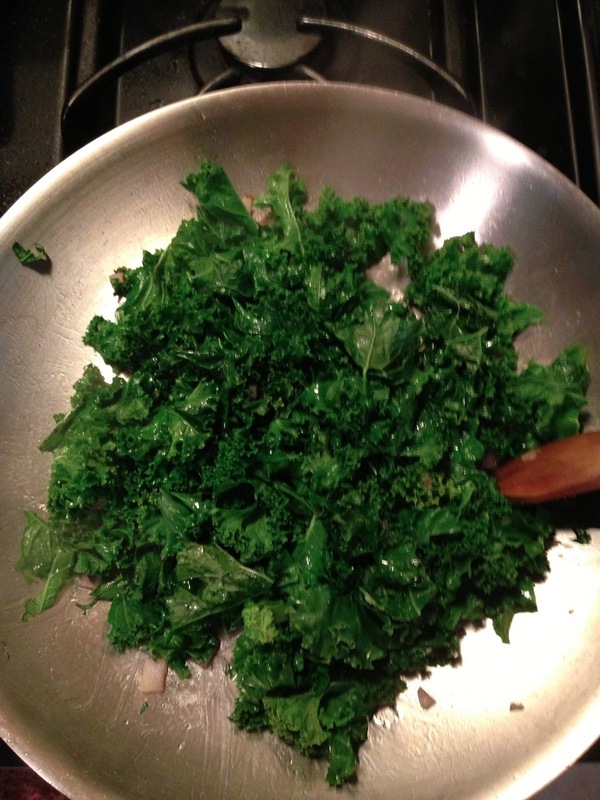 Add your kale along with a quarter cup of water. Saute for a minute or two, then cover and let steam for 5 minutes or so. 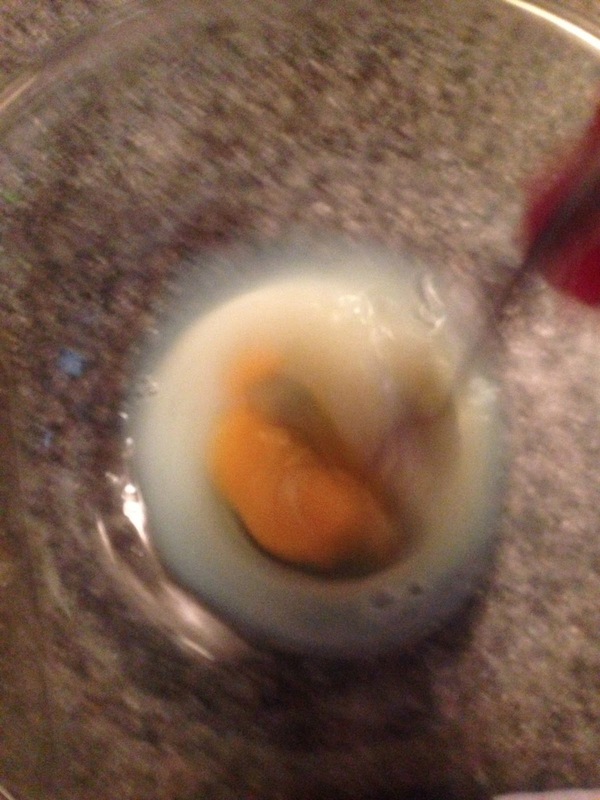 Add 1 egg and 3 whites to your bowl with the onion. Whisk. Add your cooked quinoa once it's done, along with 1/2 tsp each of salt, pepper, garlic powder, and red pepper flakes. Stir in a quarter cup of shredded parmesan cheese. Once the kale is done, pour it into the mixture as well. Stir it all to combine evenly. 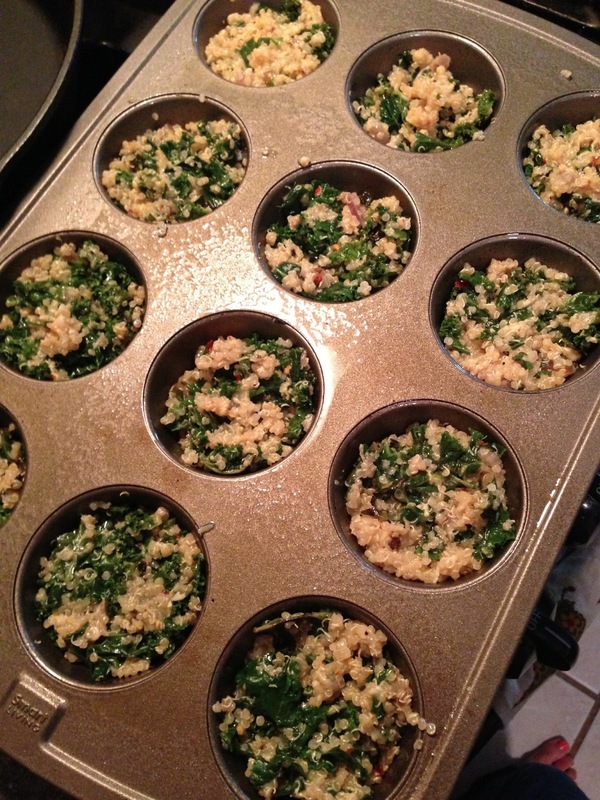 Now, spray a muffin tin with cooking spray. Spoon the mixture into the cups, filling about 3/4 way and pressing gently with the back of the spoon to pack the mixture in. You should have enough for about 12 muffins. Bake in a 350 degree oven for about 20 minutes, or until slightly browned on top. They should come out of the pan easily with the help of a plastic knife. Enjoy immediately or pop in the fridge for later! So good. 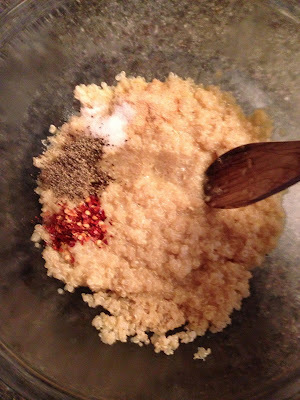 -In a small pot, boil quinoa with a cup of water or chicken broth. 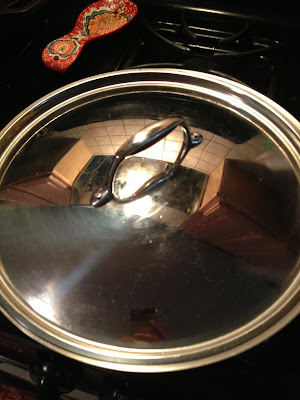 Reduce heat and simmer, covered, for 15-18 minutes. -Meanwhile, heat a tbsp of olive oil over medium heat in a saute pan. Add onion and saute until soft, about 4-5 minutes. Pour cooked onion into a large bowl. -In same pan, heat another tbsp olive oil over medium high heat. Add chopped kale and 1/4 cup water. Saute for a minute or 2, until combined. Cover and cook for about 5 minutes. -To bowl with onion, add eggs and whisk until mixed. 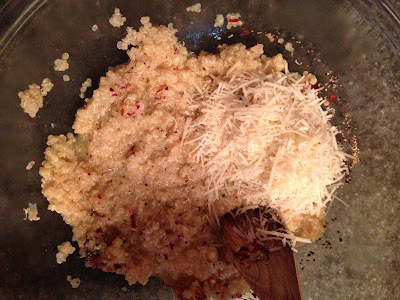 Add cooked quinoa, cheese, and spices. Mix until incorporated. 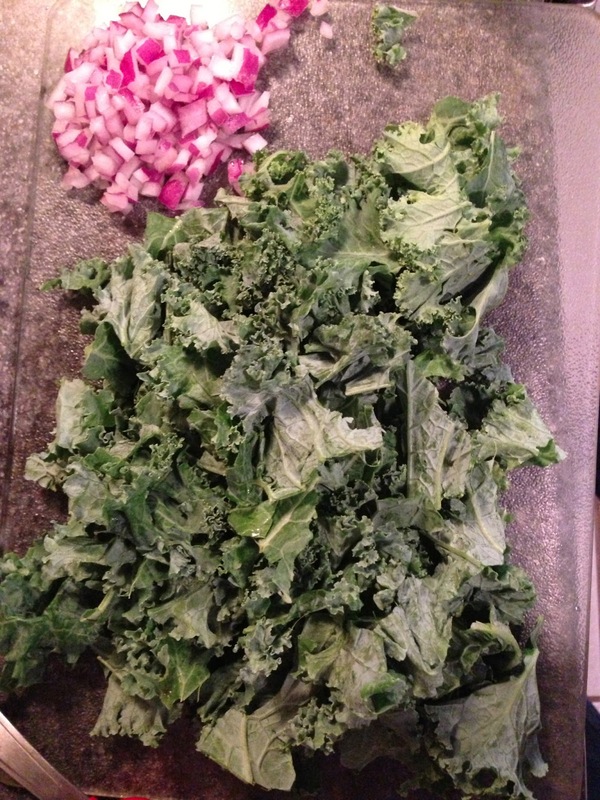 Once kale is done, add that to bowl and mix until evenly combined. -Spray a muffin tin with cooking spray. Spoon mixture into the cups, filling about 3/4 way and packing down gently with the back of the spoon. -Cook for about 20 minutes, or until slightly browned on top. Remove from cups with a plastic knife. Enjoy immediately or refrigerate until ready to eat. mmmm can't wait to try these - I'm always looking for new ways to prepare kale. You're going to rock quals - I'm not worried at all!